Real estate sector is going through rough space. Downturn in reality market is expected to end soon. If you are planning for doing investment in real estate or if you have already invested your money in real estate you might be worried about pricing part of property. We are herewith article giving idea that what are the factors that affects pricing or valuation of property in India. Buildings, real estate and properties, located in commercial and market areas or in vicinity of school, college or posh area, hold higher valuation. It is common to find brokers quoting a higher price for buildings in well-developed and approved colonies and areas as against those in the lesser developed and upcoming areas. The valuation of properties with better infrastructural capabilities and modern amenities are costlier than those which fail to provide proper electric connections, telephone lines, water sewerage facilities and all other infrastructure such as community centers, club house, children play area, swimming pools, gymnasiums, parking lots or general stores etc. Valuation of property is clearly based on the availability of necessities and facilities connected with comfortable housing. Infrastructural development is one of the most important factors which influence real estate prices in India. The presence of roads, airports, flyovers, malls and bus terminals and other facilities in the vicinity of the property, helps in value escalation of the same. It is a known fact that connectivity is one of the most important requirements for investors looking towards purchasing land or property. This leads to the concept which explains a rise in the valuation of property which is well connected to entertainment hubs, medical facilities, educational institutions, retail markets and business centers, along with other day to day facilities. Places such as Noida, Gurgaon, Pune, Hyderabad, Navi Mumbai and Andheri-Borivili in Mumbai, are striking examples of commercial development which have affected the valuation of property in these areas. The development of malls, IT offices and Special Economic Zones near residential areas help in cutting down the time and energy wasted in commuting to workplaces and increase the price of real estate in the area. Properties which are located in agricultural areas or those dominated by manufacturing units attract a lower price than those situated near the IT hubs. The valuation of property is in direct proportion to the quantum of disposable income in the hands of the purchaser or the majority of population in that area. In places where there is ample land available for residential purposes or development of real estate, the graph reflecting the valuation of property shows a slower rise than in areas where land is comparatively scarce. Demand for real estate in a particular area is inversely proportional to its supply. As the supply or availability of real estate decreases, the valuation of property increases. Changes in population are the key drivers for demand. Along with an increase in the number of people inhabiting a particular area, the popularity of a particular locality in terms of people wanting to be a part of the locality also increases its price. 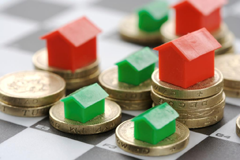 Affordability refers to the cost incurred by the owner in the process of enjoying or retaining a property. In layman’s term, it is the term which establishes a relationship between interest rates, property prices and maintenance cost. If any of above three variables reach their maximum level in a particular area, then the inhabitants start looking towards a better lifestyle elsewhere. The valuation of property is dependent on the specifications of materials used, layout, design, durability and life cycle of the building. The quality and cost of materials during construction, size, current rates of labor, frontage and other physical attributes such as roof covering, height of the building, type of foundation , waterproofing and plinth level, also affect the price of a particular property. The cost of real estate becomes higher in the event of builders undertaking customization of residential space on the lines of the purchaser’s requirements. For example, some investors may want landscaped terraces or verandahs connected with their apartments, upgraded kitchens, specifically designed internal stairways in duplex apartments, higher quality paint and flooring, or other user defined changes. This leads to an escalation in the ultimate price charged to the buyer. Before making their real estate purchase decisions, investors should conduct an analysis of these drivers to get a fair valuation of the property that interests them. Careful investigation and homework can lead to better returns, easy liquidity and more lucrative investments. « How to Generate Residual or Passive Income?